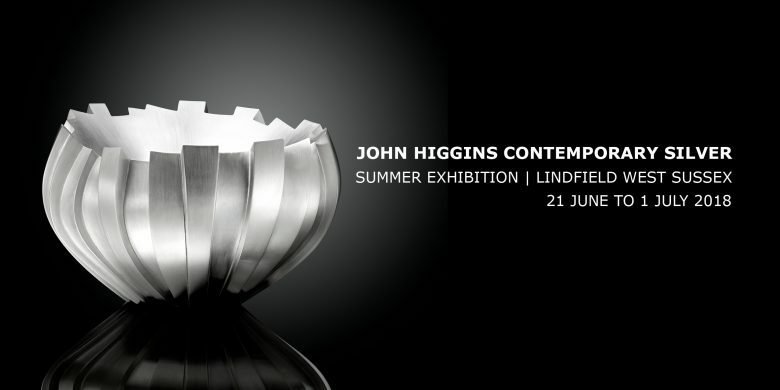 With new work from many of the UK’s leading silversmiths and enamellers, and over 250 fabulous pieces of contemporary jewellery on show, John Higgins – founder of the Contemporary Silver Gallery – gets his 9th Summer Exhibition in Lindfield underway in June. “It’s such a pleasure and privilege for us to be able to bring together in Lindfield, such a wonderful and diverse range of contemporary silver and jewellery, from every part of the UK, by the very best designer/makers, and to finally see pieces which we commissioned in 2016/17 in preparation for this exhibition, finally come to fruition”, says event organiser John Higgins. Over 30 silversmiths will show their work at this year’s exhibition. A spectacular exhibition not to be missed.